I loved lilacs. 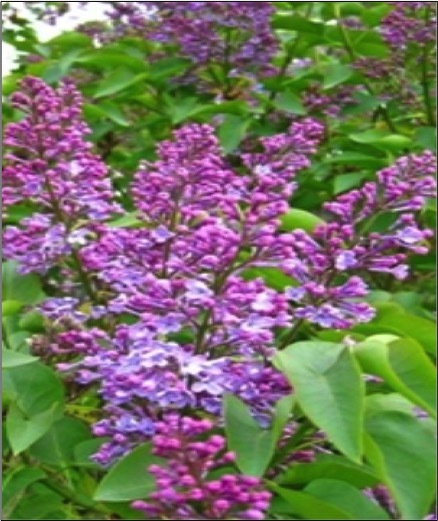 My mother’s two lilac bushes were the only color in a yard where she had difficulty even getting grass to grow—the one thing of beauty that welcomed visitors to the ramshackle house of a coal miner with five children. I glanced up from those lines to see the professor take off his glasses and lean forward. It was a rare gesture of approval from the doctor who was proud of his reputation as the most challenging professor in the English Department at Concord College. He allowed me to read on for far longer than most students, whom he’d interrupt mid-verse with impatience and read the rest himself. When I finished, he complimented me. But he didn’t stop there. With a pause and a sigh, he went on, “It’s a shame you don’t have a masculine voice.” And he finished the poem in his own deep bass, as I sat in confusion, unsure as a 19-year-old whether to be flattered or insulted. Just what was I supposed to do with that particular piece of criticism—of the one thing about my voice that I couldn’t change? I’ve thought of this professor often as I’ve listened to the criticism of Hillary Clinton’s voice and delivery over the course of the presidential campaign and, especially, as she prepares for her first debate with Donald Trump. I would love to move past harping on gender and race in America. But as long as society continues to judge candidates by the same standard my college professor did over 30 years ago, when states defeated the ratification of the Equal Rights Amendment that both houses of Congress had approved, we will never be able to move forward. How long must we endure comments like this Twitter post from Donald Trump? Don’t tell me “gender isn’t a factor” when Hillary Clinton is more despised for being cheated on than Trump is despised for cheating. Can you imagine a black male candidate acting 1/2 as belligerent as Donald Trump? He would be deemed a physical threat. I read that last line again and again. Some might find fault with the use of the masculine at the end or the fact that Whitman assumes a woman who has children is greater than a woman who does not. Politically incorrect? Maybe. But it doesn’t seem to matter in the context of what he’s saying—that women are equal to men. The use of the masculine can be forgiven. And this is the mistake that Trump supporters make when they say they’re tired of having to be politically correct. Because of the nuances and traditions of our language, we often use masculine nouns and pronouns when what we really mean is humanity. What cannot be forgiven is to criticize women and minorities for things we cannot—and do not want to—change: the tenor of our voices, the color of our skin. What cannot be forgiven is to fail to give women and minorities the opportunity to serve because we make false assumptions about their capabilities and hold them to a different standard because of their race and gender. Or, to be more apt, I should use the NRSV or one of several more recent gender-neutral versions that speak to what we will miss if we fail to elect the most qualified presidential candidate in history mostly because she is female: “…we are of all people most to be pitied.” Indeed. And that’s why I’m with her. Previous PostA Retiree’s Wish for Returning TeachersNext PostIs Your News Source Credible?